The top three from Saturday’s Dunlop MSA British Touring Car Championship qualifying session at Thruxton took time out following a breathless half-hour to speak to btcc.net. 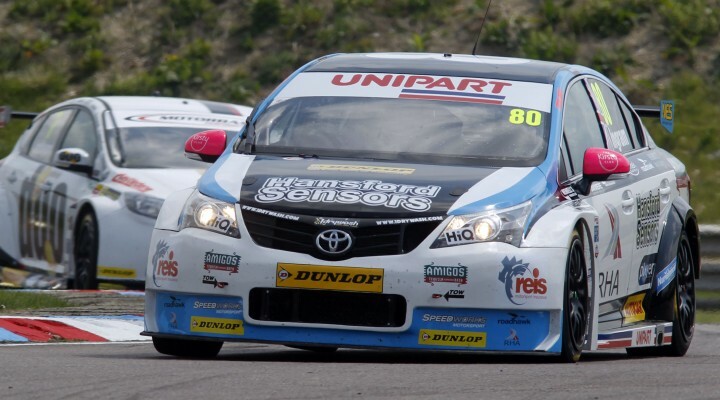 Tom Ingram took a second pole of the season and his career in the Speedworks Motorsport Toyota Avensis after trading times with Matt Neal in the opening throes of the session. Aiden Moffat sealed a stunning second place on the grid for Laser Tools Racing, especially considering his previous best in the BTCC was 8th. That stormer from the young Scot left Neal’s third, though the Honda man was rightly pleased with a spellbindingly quick lap set with copious ballast on board.